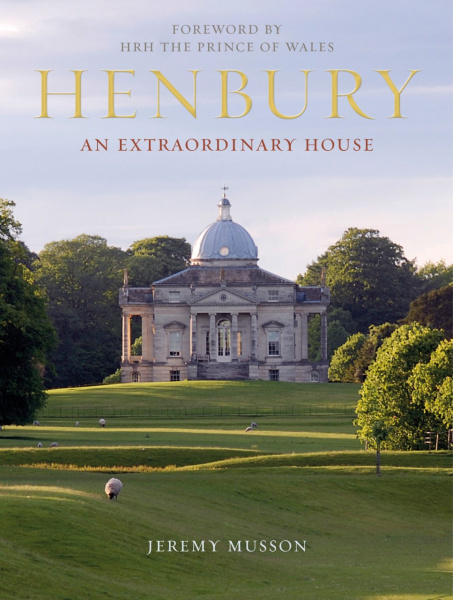 Henbury Hall in Cheshire has been described as the most beautiful house built in Britain in the last hundred years. This late twentieth-century house rises from the rolling contours of its ancient parkland as a Palladian masterpiece of symmetry, elegance and simplicity. Full of intriguing historic references, its form both venerable and familiar, it is unique in the story of twentieth-century British architecture. Writing in Country Life in 2002, Jeremy Musson highlighted the enduring English love affair with the Palladian tradition, which, for lovers of classic country houses, makes ‘a first sight of the great villas of the Veneto feel like coming home’. For the Ziani de Ferranti family, the Veneto was indeed home. So perhaps it is hardly surprising that when Sebastian de Ferranti (1927−2015), came to realize his vision for his house it should be based on Palladio’s villa La Rotunda at Vicenza. Henbury Hall was designed by Julian Bicknell and Felix Kelly and built in the mid-1980s, with interior design by David Mlinaric. This book, written by Jeremy Musson and drawing on more than thirty years of superb photography, is the complementary vision of Sebastian de Ferranti’s widow, Gilly de Ferranti, her tribute to her husband’s creation, and as beautiful a book as Henbury Hall is a house. Gilly Ziani de Ferranti is Sebastian Ziani de Ferranti's widow. She lives at Henbury.